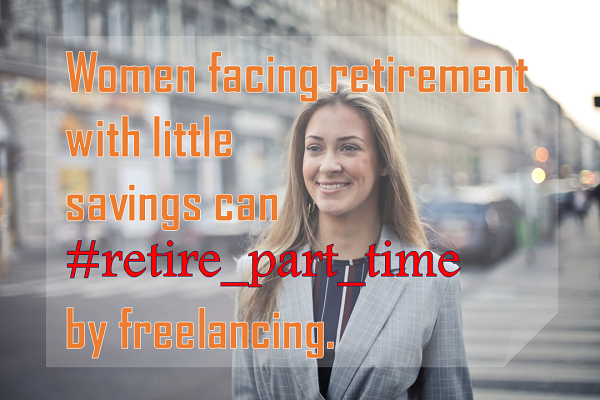 Women facing retirement with little savings can retire part-time and freelance to make their money last longer. We look at the world leadership work in this area by Kerry Hannon. If you are a millennial with a good 9 to 5 job we look at why you should consider freelancing to pay off your debts earlier. It is hard to believe that Freelancer.com the Australian freelancing platform has over 27 million users and 13 million posted jobs and many of these are working on joint projects to lift productivity. We explain how. Work-life balance is critical to moonlighting freelancers. We look at the views from three different countries. Do you know whether co- working would lift your productivity? We look at the research as to whether it would help you or not. Do you know who are the leading Amazon Web Services trainers for freelancers in the world? We explain who they are and give you the link to check them out.